Over the coming weeks, the site at the heart of Stockport Exchange will be cleared by contractors paving the way for work to begin on the next office building at the award-winning business district. 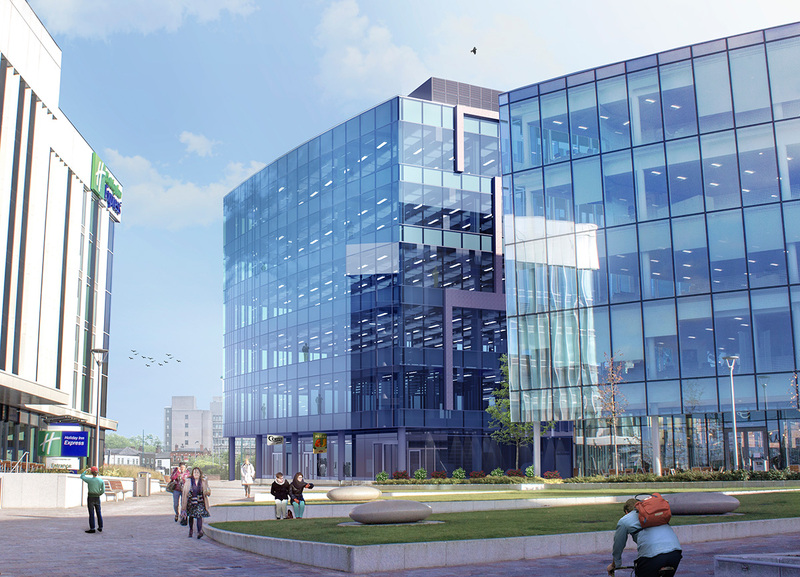 The new 60,000 sq ft six-storey Grade A office building, 2 Stockport Exchange, will be constructed next to the popular 1 Stockport Exchange which was fully let within just six months of completion meaning even more companies will have the opportunity to move into the thriving business hub, benefitting from all it has to offer. Demand for space within the first office building was much higher than it was capable of accommodating with both global re-commerce business, musicMagpie, and national bus operator Stagecoach quickly making it their new home. At the same time, the 115-bed Holiday Inn Express has received rave reviews from guests and is frequently fully booked. For more information on Stockport and the investments taking place across Stockport visit our Invest webpages.